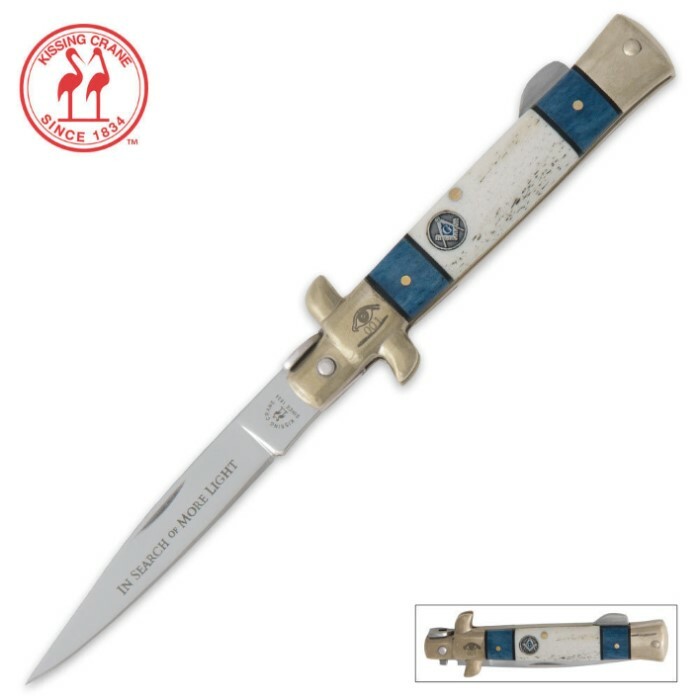 This limited edition Masonic stiletto folder features an "In Search of More Light" blade etching, Freemason white and blue finished handle, and a Masonic logo emblem. The blade is crafted from stainless steel and polished to shine. Other features include a steel liner, brass pins, and cast metal bolster with an etched Masonic eye. 7 in. overall.